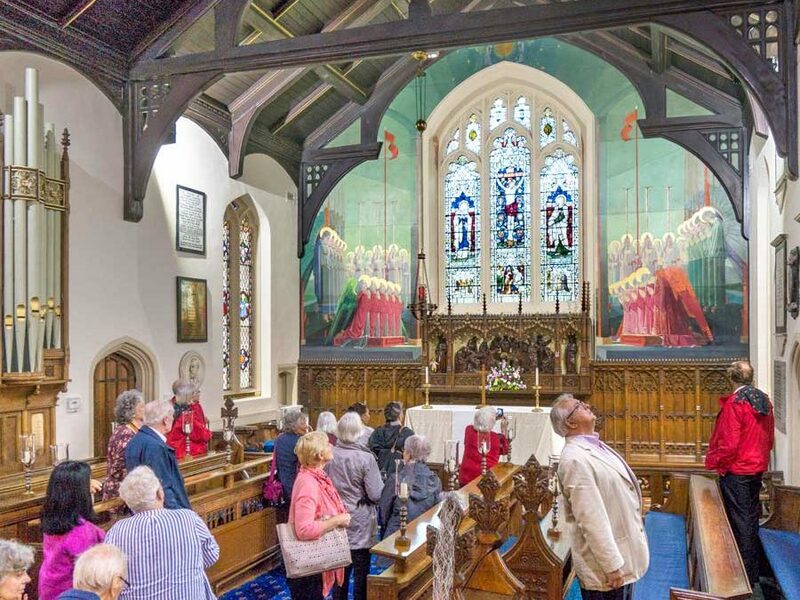 A most fascinating talk was delivered by Heather Davis on 22 May 2017 when she described the beautiful Murals either side of the stained glass window in the chancel in St Cuthbert’s Church. The audience sat in the pews and listened to Heather as she spoke about the fresco behind her, entitled The Worship of the Heavenly Hosts. It was painted by Wallace Wood, 1894 – 1961, and dedicated in 1932. In 2008 Heather Davis was one of two conservators who restored the Fresco and in her talk she described her painstaking work. Heather also told us about the artist and the derivation of the painting and how it came to be commissioned. A most interesting insight into a very lovely work of art. Xmas Cards & 2019 Calendar: Order Yours Before They’re Gone!